Stanley Kubrick’s The Shining carried a tagline: The Wave of Terror That Swept Across America. Interrogating just what that wave of terror might be, Room 237 consists of a series of off-camera interviews offering a number of focused readings of Kubrick’s film. 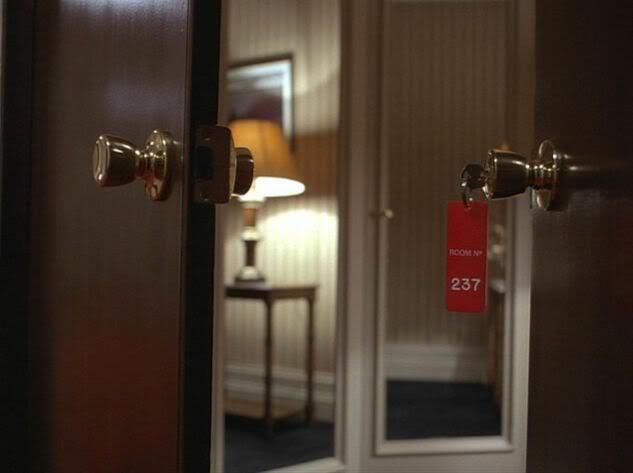 Unfortunately, Room 237 is unkind to its contributors in its clumsy assemblage and presentation of their ideas. The disembodied voices whose observations are told are never seen, leaving the viewer with no association for the words that spring forth. But worse than that, there is no presentation – not even a quick title onscreen – as to who these voices belong to at all. No names or credentials are ever given which further undermines and betrays their readings by asking the viewer to take a huge leap of faith and trust the opinions given, irregardless of their origins. There is also little innovation in the visual style with many of the clips from The Shining, and indeed other Kubrick films, shown ad nauseum when one clear example from the text ought to suffice in illustrating the point. Coupled with the fact that the quality of the footage itself is visually poor, makes it difficult to become immersed in the analysis. Interesting and provocative readings aside, Room 237 is like a first year film student attempting to give a third year lecture. Messy. Room 237 screens as a part of the 2012 Melbourne International Film Festival with further sessions on Friday August 17th at 9pm and on Sunday August 19th at 11am. When a film’s title suggests it is the “last” of anything it is fairly obvious that it will be self-reflexive within the confines of its own generic classification. Whilst clearly it is has no intention of being the “last” of its kind (there was in 1982 The Last Horror Film and in 2003 The Last Horror Movie, neither of which have come remotely close to being “last” and both of which were in fact rather poorly received), what it is hoping to do is definitively invert certain generic tropes altering, or at least playing with, audience expectancy and a prescribed economics of predictability. The Last Exorcism (2010) then is far more comparable to something like Behind the Mask: The Rise of Leslie Vernon (2006) which is also a mockumentary horror/comedy that plays very much as The Last Exorcism does with audience investment and the effects of suspending and re-introducing standard generic modes of disbelief. Furthermore, with the credits reading “Produced by Eli Roth” it would remiss of anyone aware of even contemporary horror film history to think that the film wasn’t at least a little bit interested in testing its audience. Then the film shifts up a gear (much like the aforementioned Behind the Mask) and crosses over from its comedic mockumentary style and becomes an actual horror film for the remainder of its duration. The shift is timely and welcome as, irregardless of how amusing the mockumentary elements are (and they really are, especially the sequence where we are shown the process behind many standard effects used in horror), there is only so long such a technique can sustain itself and its audience’s attention. That said, there are still plenty of laughs to come even within the “horror” scenes themselves. The performed exorcisms and the possession sequences that follow are suspiciously like the ones seen in The Exorcism of Emily Rose (2005) (particularly the barn sequence) although the results and the level of tension pitched in this film are much less severe or serious. 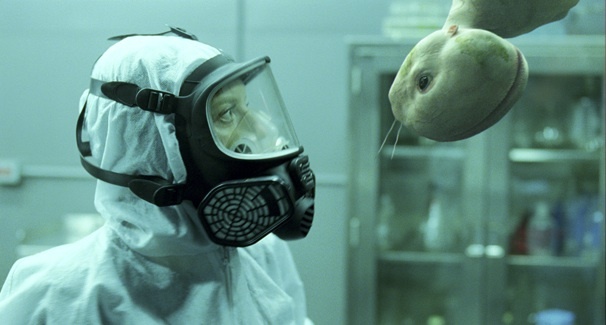 The final scene in the film (a tonally fitting end for a horror/comedy) is where The Last Exorcism confirms that it was interested primarily in adjusting the levels of tone and pace with the hope at altering well-established, predictable and arguably tired paradigms of audience expectancy. Whilst far from “scary” and not exactly definitive in execution, The Last Exorcism is a lot of fun and comes with an appreciable knowledge and respect for horror-literate audiences. The Last Exorcism is released in Australian cinemas on Thursday November 25 through Hopscotch Films. This year’s tribute festival strand, Dante’s Inferno, is a series of retrospective screenings of the cinematic works of subversive Hollywood insider, Joe Dante. Working within the confines of the system, Dante’s films are just about B-grade enough for both them and him to achieve cult status. Familiar with a few of his features already (I am proud to admit that my geekery knows no bounds and I enjoy viewing Gremlins (1984) and Gremlins 2 (1990) as part of my annual Christmas triple feature; along with Die Hard (1988), of course), I thought it was about time I gave his shorter works a wee look-in. Although I’m usually happy to subscribe to the mantra that good things come in threes (skeptics can refer back to my aforementioned Christmas viewing program), when it came to Tuesday night’s screening, it was more the case that “two out of three ain’t bad”. This is the most relentlessly self-conscious and blatantly subversive zombie schlock flick I’ve ever had the pleasure of viewing. Featuring sensationally drawn republican sycophants up against a bunch of military soldier “zombie dissidents” whose motivation to return undead has absolutely nothing to do with the desire to eat people or even to “infect” them, but comes rather from the great compulsion to exercise their democratic right to vote against the very administration that needlessly sent them to their deaths in the search for a bunch of made up WMDs. With a script so incredibly sassy that you’ll barely have time to finish laughing at one line of dialogue before you starting cracking up at the next, Homecoming is a film where one cheap shot constantly and hilariously supercedes the last. This might in fact be the very best thing I’ve seen at the festival so far. When the film started up I began to experience a pang of nostalgia and some kinda creepy deja vu. Then I realised that here was a film I have seen somewhere around twenty or thirty times (at least) in my childhood and that used to absolutely scare the crap out of me. The opportunity to see it on film, and on a big screen, well, that sure was something. The story is a simple one; Helen Foley is a school teacher whose life is ruled by “sameness” and who endlessly waits “for something different to happen”. Following an “accident” outside a highway diner, Helen drives the young boy involved home, stopping in to meet his “family” for just a moment… But Anthony is no ordinary boy and his “special powers” stretch the limits of reality in this imaginative and terrifying installment of Rod Serling’s Twilight Zone series. This was, unfortunately, the weakest film in the program. Not all together terrible but certainly paling in comparison to the two films that came before, Lightning is an old-fashioned tale about greed and comeuppance. Very straight forward, narrative and moral, Lightning ought to be daytime tele fodder programmed alongside the likes of Little House on the Prairie (1974-1982). Homecoming, It’s a Good Life and Lightning are screening as part of the Joe Dante retrospective program of this year’s MIFF and will be screening again on Saturday July 31 2010, 4.45pm in ACMI 2.